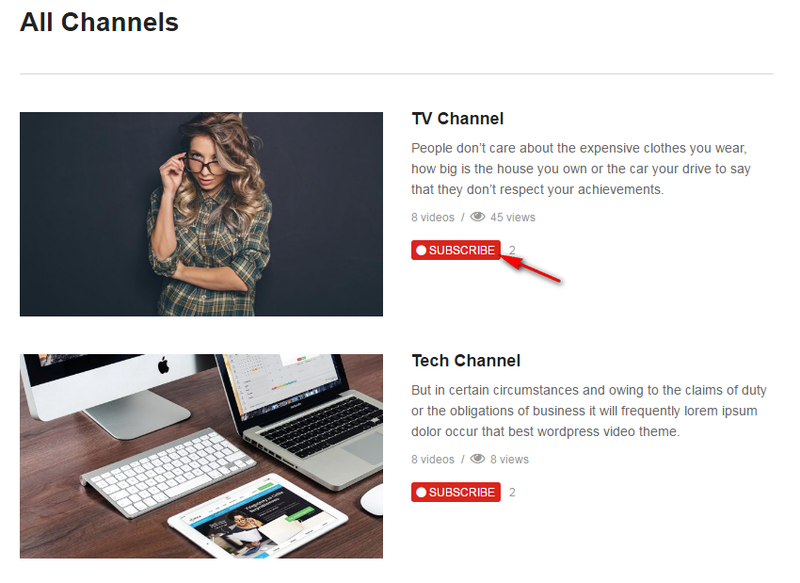 VideoPro provides a Subscribed Channel Page Template to list all channels that an user has subscribed. To use this page template, Cactus Video plugin needs to be installed first. Link to this page should be put in Logged In User Menu so that only logged in users can see it (go to Appearance > Menus and create a menu, then assign that menu to Logged In User Menu location. See more at How To Create Menu). If you haven’t set up this menu, default menu items will be added (“Watch Later”, “Subscribed Channels”, “Your Profile” and “Logout”). This page can only be accessed by logged-in users. 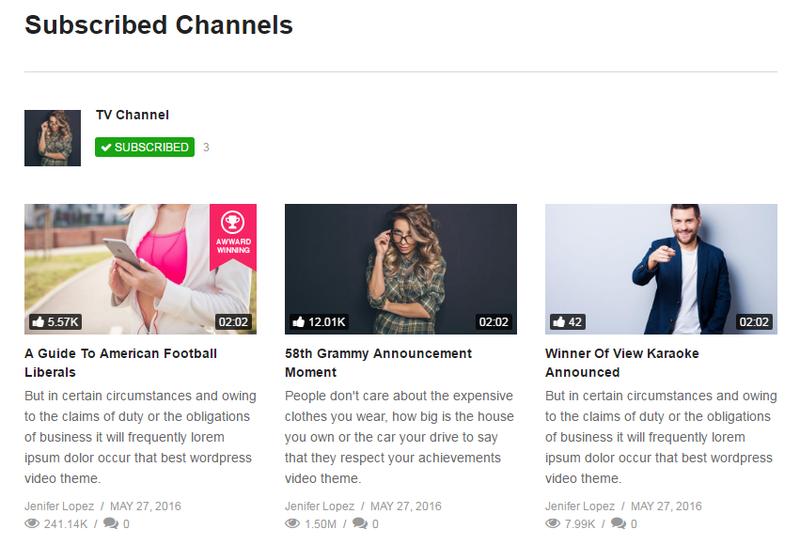 When an user visits this page, he/she will see 3 latest videos from his/her subscribed channels. By default, the list of Subscribed Channels will be ordered DESC by latest updated time. That means when a new video is uploaded to a channel, that channel will be displayed first. 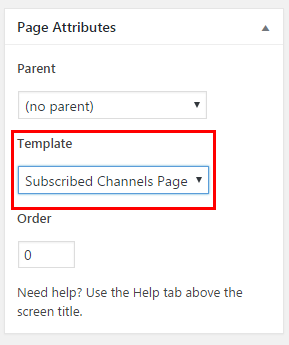 Step 1: To create a Subscribed Channels page, go to Pages > Add New Page and choose Subscribed Channels Page template. Name this page as you want. 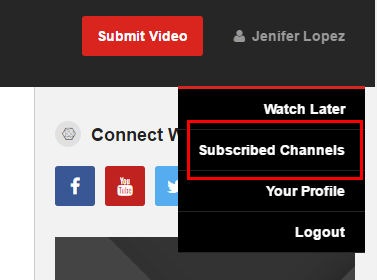 Step 3: Click “SUBSCRIBE” button.